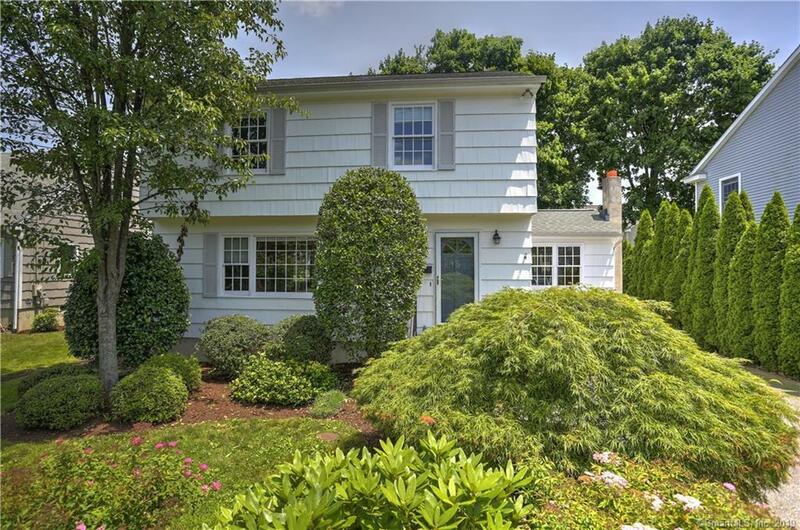 Desirable beach area Colonial offers large Living room, formal Dining room, eat-in kitchen and den/study. Deck overlooks flat partially fenced, professionally landscaped yard. Create a lifestyle here with convenience to town, train, beach, schools and parks. Lower level offers a comfortable space for work-shop, playroom or office with built-ins. Large, wide driveway fits four cars. Year old furnace, floors freshly refinished. Home faces west so is bright and sunny. .09 miles to town, train and beach!